Recently, last-century rapper Trick Daddy went on a tirade against Black women confirming the fact that undesirable men are always the first ones to try to lecture Black women about being desirable. But, beyond the fact nobody wants him and the last two iterations of millennials think he’s the guy who rapped about spinning his shirt over his head like a helicopter (re: Petey Pablo), his words say a lot more about toxic masculinity and the ways that male desire is prioritized over Black women’s actual human lives. According to the now deleted video, Trick Daddy described Black women as “useless” because “Spanish” and white women are starting to rival them in beauty. “These Spanish, these white hoes … they done started getting finer than a [motherf–cker],’” he said. “Y’all Black hoes betta tighten up.” He went on, “I’m telling you, tighten up. 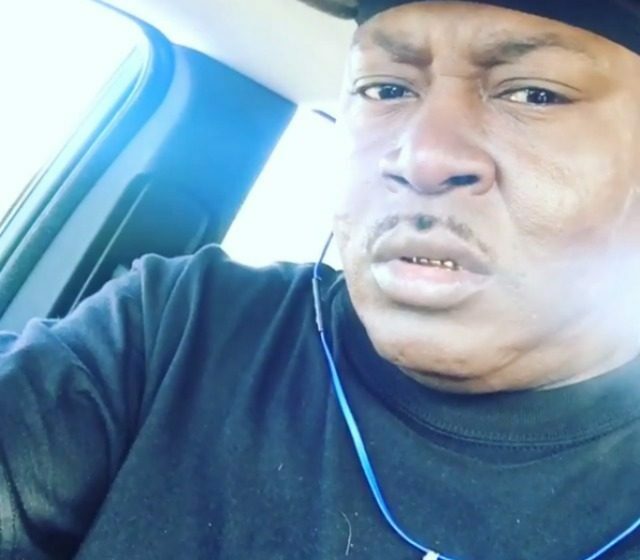 Y’all doin all that extra [s–t] for nothin’; you not achieving nothin’, b-tch,” he explained as he chastised Black women for “paying $150 to get your makeup done just to go to a local club.” After the comments got him dragged on Twitter, Trick Daddy took to Facebook to continue his hateful screed against Black women. Granted, the rant and subsequent aftermath are evidence that Trick Daddy is a worthless human being with nothing better to do than denigrate Black women on the Internet to revive whatever career he thinks he had when we were all in middle school or younger. But, what has struck me most about responses to Trick Daddy’s antics is the fixation on his physical looks as a shortcut for explaining why his comments are pure gutter sludge. There are a few problems with that type of rationalization. First of all, while Trick Daddy does resemble what happens when the hot dog stack on the back of a sweaty Black man’s neck morphs into an actual speaking person, his meager tired nausea inducing face and body has nothing to do with his lack of credibility on the matter of Black women’s desirability when compared to “Spanish” and “white hoes.” To suggest that him being physically tragic looking precludes him from his commentary conversely suggests that, if he were attractive, his comments would be legitimate. This is a falsehood. No man has any place speaking on the general attractiveness of entire groups of women no matter whether they are a Calvin Klein model or, at the complete other end of the attractiveness spectrum, Trick Daddy. Second, Trick Daddy’s flippant attitude about Black women stems from a long history of Black men’s active participation in colorism and race-d misogyny (i.e. Moya Bailey’s term misogynoir). This isn’t about personal taste. This is about many Black men’s need to remind Black women that they have marginal privilege because of their gender, and rather than use that privilege for racial solidarity and general uplift, they would rather put it to use in narcissistic ways, promoting harm against the very women who birthed and raised them. Lastly, in our quickness to reduce Trick Daddy’s comments to the same trite ish the slobbering, nasty ol’ man at the corner says to little girls in passing, we not only miss the pervasiveness of this culture of hatred toward Black women, but we, ourselves, perpetuate systems of harm against women. Rather than focusing so intently on Trick Daddy, we should instead critically analyze the ways that men like him use power, money, status, and positionality to “punch down” at Black women and others who are less privileged than themselves. Trick Daddy might be ugly (and he is), but what is uglier is the fact that many men probably heard what he said, agreed with him, and remembered when they said something similar. Let’s focus on that before we lend any more lip service to Trick’s facial disfortune.